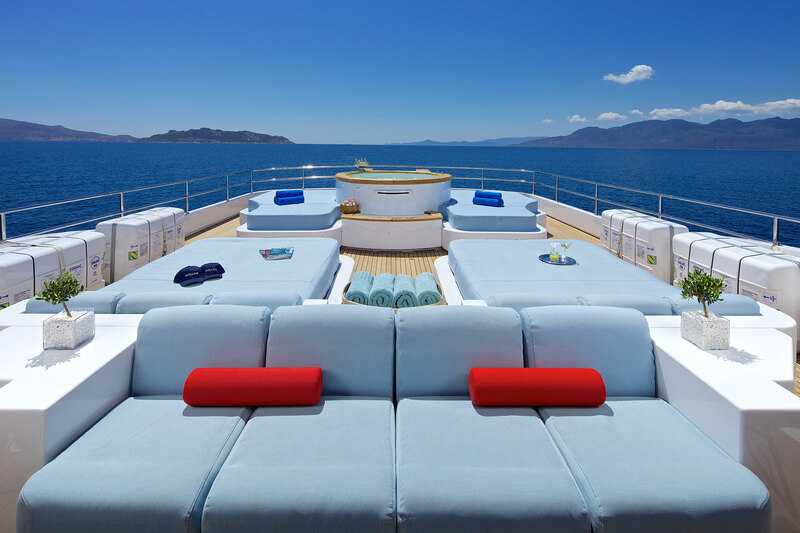 The moment you set your bare feet on the deck of a luxury charter yacht, your life is about to change forever. You will probably never forget the feeling of the warm teak under your feet as you are led from the deck to your commanding cabin for the first time. 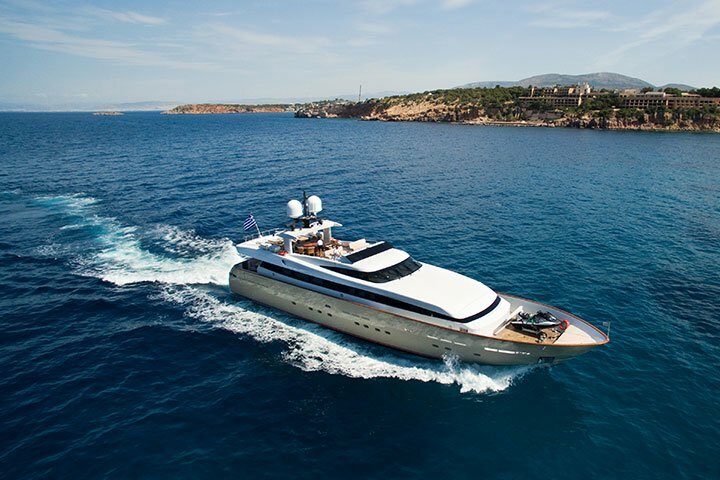 You will soon find out that one of the greatest pleasures aboard is sleeping or waking up to the mesmerising swell of the boat. You enjoy lingering in your very comfortable bed with the crisp sheets and enjoying the total silence. Once you are up you make your way to the sheltered outdoor dining room to savour a perfect breakfast prepared by a qualified chef. 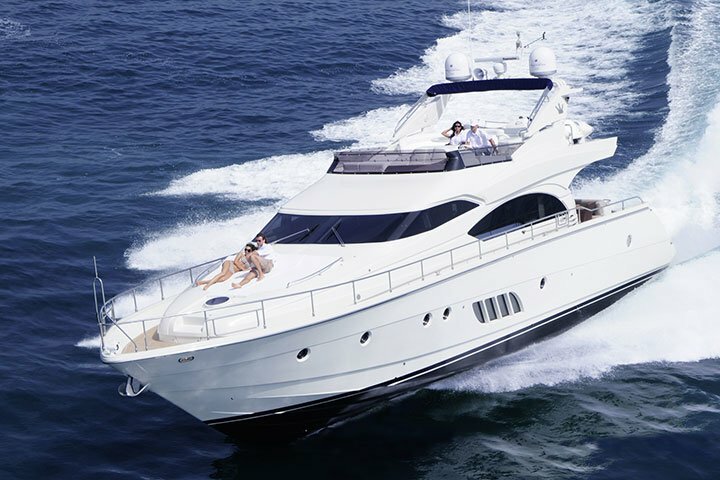 Most often, the captain of our luxury charter yacht will make his appearance at that time to discuss and finalise the plans of the day. Remain anchored in this cove and do some snorkelling? Or maybe arrange with the crew to launch the jet skis to take a ride in the area? Take the tender out for some waterskiing? Next, he would suggest having a light lunch and setting off for the next island, where we might consider going out for a stroll in the picturesque harbour. On that day, a jet ski ride seems appealing and it turns out a very good choice; lots of good laughs and a little bit of wildness. 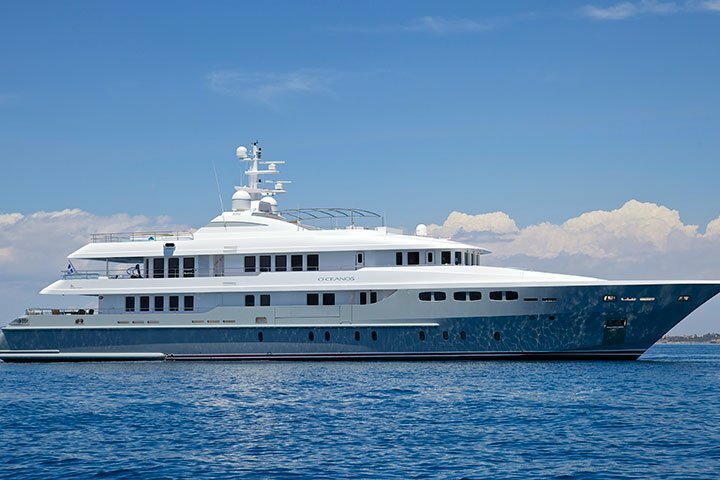 We return to the luxury yacht and we take a quick warm freshwater shower on the swimming platform before heading to the sun pad on the upper deck to catch some sun, read a book or even doze off a bit. Before we even lie down, the smiling stewardess approaches with cold drinks and small bites that can send you straight to heaven. We return to our cabin that has been put back in perfect order by the crew, to shower and get dressed. As we make our way to the bridge, we hear the engines starting. We are already heading towards our next destination. When we arrive, we are soon moored and decide to go out for some sightseeing and shopping. We have dinner al fresco in a local restaurant and are in a jolly good mood when we return aboard laden with bags that the crew whisks out of our hands to our cabin. 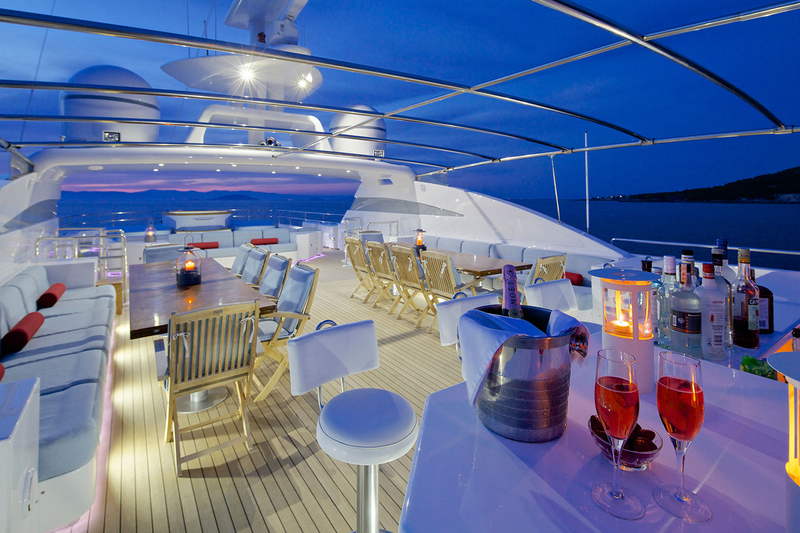 The day ends with drinks on the aft deck. We take in the incredible view and enjoy a good conversation among good friends. That was a perfect day. 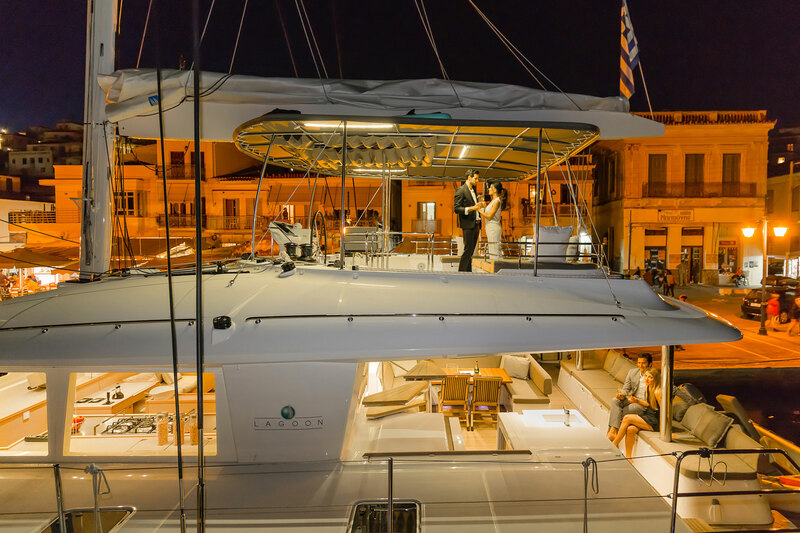 If you also wish to enjoy your days on a crewed luxury charter yacht, the Vernicos Yachts charter team will be pleased to discuss the available options with you.